So what does it take to write a book like Planet Barbecue? Well, obviously, lots of travel. And lots of recipe testing. 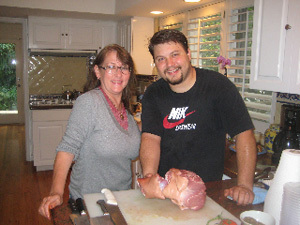 Every recipe in the book is tested multiple time by our commando team of recipe testers, Nancy Loseke and A.J. Minderman. 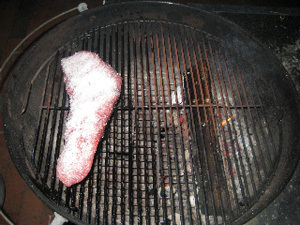 Here’s a salt crusted tri-tip grilled Montevideo-style–smoked with an oak log. 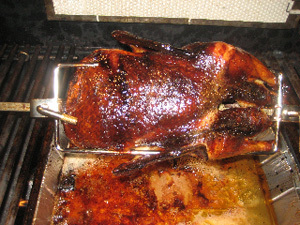 And Vietnamese duck spit roasted with lemon grass and honey.